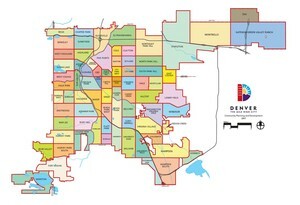 Like most municipalities of Denver, people were brought to Golden by – you guessed it right – gold. During the Gold Rush, "Golden City" was one of the first cities founded in Colorado. Contrary to common belief, the City of Golden is not named for the precious metal, but in honor of its founder the esteemed Thomas Golden. At one time, it was a mining camp, which focused on mining of coal and other rich resources. However, it grew more famous as the home of the Coors Brewing Company, established in 1873. The Coors Complex would continue on to brew one of the most well known brands of brewed beer in the entire world. The center remains in Golden today. Moreover, the city developed into an industry giant with various production companies of paper, tanning and coal; all being established in Golden. These various developments became the cornerstone upon which the education and infrastructure of Golden were developed. That’s how Golden became the great city it is today. Golden is home to some of the most varied recreational opportunities in the entire area. The city is well known for being a center of cycling and is recently honored with being one of the stages of the USA Pro Cycling Challenge. For this reason, Golden is considered a wonderful place to take a ride on a bicycle through. Splash Water Park also offers fun for the entire family with pools and recreation activities. If you are an adventurous individual, you may also find kayaking down the Clear Creek Whitewater Park and paragliding as excellent choices for recreation. There is also a golf course, and several museums to visit, which mark the rich culture and heritage of the city. The Coors Complex offers tours of the brewery, which is located in Historic Downtown Golden, which in its own brings to mind memories of the old wild west. The Golden Summer Music Festival is one of the most highly esteemed music festivals across the nation and is a definite must-see. It is held in the summer from June 14 to 16. There are also plenty of other events to participate in, such as live bands and movies at Parfet Park, and Farmer’s markets held regularly. The Fine Arts Festival, held in August, and the fun of the Wild West on Buffalo Bill Days in July are also amazing experiences that anybody can enjoy. There are many notable landmarks, which add something more to the city Golden. Lookout Mountain is a range in the area and is popular among site seers and gliders alike. Buffalo Bill’s Gravesite and Museum and the Colorado Railroad Museum are both easily noticeable and are fabulous sites to visit as well. It is also home to the Colorado School of Mines, a highly regarded engineering school situated in and about Historic Downtown Golden. With these in mind, your stay in Golden can be an exciting and amazing one.